Melvyn Bragg and guests Mary Beard, Denis Feeney and Duncan Kennedy discuss Roman satire. Melvyn Bragg and guests discuss Roman Satire. Much of Roman culture was a development of their rich inheritance from the Greeks. But satire was a form the Romans could claim to have invented. The grandfather of Roman satire, Ennius, was also an important figure in early Roman literature more generally. Strikingly, he pioneered both epic and the satirical mockery of epic.But the father of the genre, Lucilius, is the writer credited with taking satire decisively towards what we now understand by the word: incisive invective aimed at particular personalities and their wrongs.All this happened under the Roman Republic, in which there was a large measure of free speech. But then the Republic was overthrown and Augustus established the Empire.The great satirist Horace had fought to save the Republic, but now reinvented himself as a loyal citizen of the Imperium. 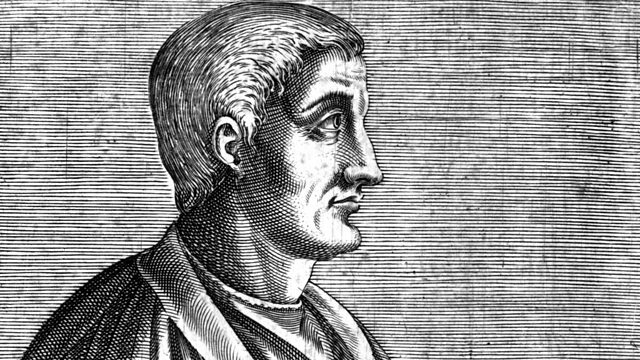 His satirical work explores the strains and hypocrisies of trying to maintain an independent sense of self at the heart of an autocracy.This struggle was deepened in the work of Persius, whose Stoicism-inflected writing was a quietist attempt to endure under the regime without challenging it.The work of the last great Roman satirist, Juvenal, was famously savage - yet his targets were either generic or long dead. So was satire a conservative or a radical genre? Was it cynical or did it aim to 'improve' people? Did it have any real impact? And was it actually funny?With:Mary BeardProfessor of Classics at Cambridge UniversityDenis FeeneyProfessor of Classics and Giger Professor of Latin at Princeton UniversityDuncan KennedyProfessor of Latin Literature and the Theory of Criticism at the University of BristolProducer: Phil Tinline.